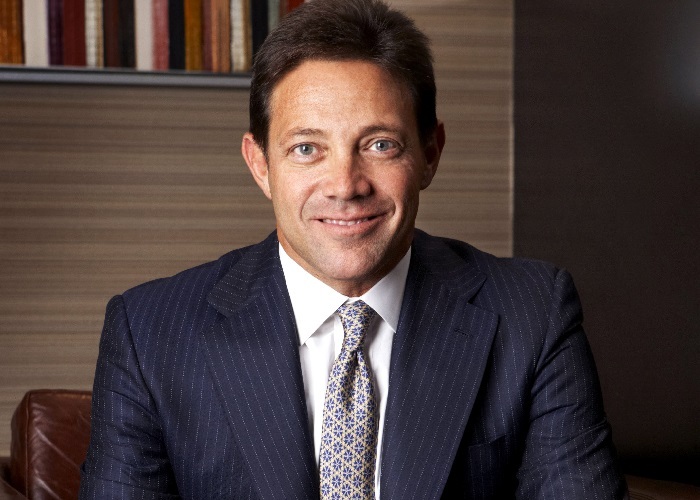 Jordan Belfort Net Worth – How Wealthy is He Now? The nineteen eighties were a time of constant stock-market growth, fortunes earned, and lost, overnight, and incredible displays of excessive spending by those at the top of the game. Jordan Belfort enjoyed a sudden rise to power and gained incredible wealth in a controversial, illegal, and ultimately incredible career. He amassed a huge personal fortune, and lost everything when the whole web of deceit came crashing down around him. The real Wolf of Wall Street had a life so rich and fantastic that his story was perfectly suited for the large-scale Hollywood blockbuster that it would eventually become, but what’s the real story behind Jordan Belfort, how much of his success has he managed to recapture after his fall from grace, and how much of his life, as portrayed in Martin Scorsese’s award-winning 2013 movie really happened the way it was shown? How Did Jordan Belfort Make His Money & Wealth? All of us have at one time or another come up against someone who just loves to sell, the passion they have for separating us from our hard-earned cash in exchange for something that we didn’t know we even wanted is what drives them, and the very best of them are just born that way. Jordan Ross Belfort was born on July 9th 1962 in Queens, New York City. His parents, Max and Leah were both successful accountants but Jordan sought a more exciting path. Throughout high school, showing the natural skill as a salesman that would define his life, Jordan and a friend earned $20,000 by selling Italian ice, or water ice as it’s also known, to tourists at a local beach. He graduated from American University with a biology degree and planned to use the money to train as a dentist, however upon learning from the Dean of the University of Maryland School of Dentistry that the occupation was no longer as lucrative as it had been he decided to pursue other, more profitable avenues. A short spell as a meat and seafood salesman in Long Island was next for Jordan, and according to his own account, he was soon employing several workers and selling in excess of 5,000 pounds of produce each week. The business was not overly profitable however, as Belfort filed for bankruptcy in 1987. It was at that time that Jordan got his first opportunity in the World of stockbroking, he was hired as a trainee at L.F.Rothschild upon the recommendation of a family friend. He quickly settled into the job and felt that he was exactly where he had always wanted to be, but the sudden, and at the time completely unexpected stock market crash of 1987, known as ‘Black Monday’ resulted in mass lay-offs in the entire trading sector, and Jordan, as a rookie was one of the first to go. With some experience of the high-flying finance industry behind him, Jordan founded his own firm, Stratton Oakmont in 1998. The business was originally opened as a franchise operation to Stratton Securities but as Jordan’s business methods began to earn the company huge profits, he eventually bought out the parent company. Jordan ran the business as a ‘Boiler Room’ operation, using high-pressure sales tactics to sell dubious penny stocks that would be worth little to the buyers in the future. The ‘Pump-and-dump’ operation created an artificial demand for the speculative stocks that inflated their price beyond their true value. The practice was not only immoral, but it was also illegal, and Stratton Oakmont began to be investigated by The National Association of Securities Dealers, now known as the Financial Industry Regulatory Authority, from as early as 1989. The massive success of Stratton Oakmont’s operations soon made Jordan Belfort an incredibly wealthy man, along with many of the 1,000 stock brokers that worked at the firm. He enjoyed a rock-star lifestyle, with yachts, wild parties and a growing dependence on methaqualone, known by its brand name of Quaalude. The film adaptation of Wolf of Wall Street particularly emphasized the large scale usage of Quaalude’s by Belfort and his associates during the early 1990’s, and although Jordan has since admitted that some elements of the film were ‘exaggerated’, he did become addicted to methaqualone, and entered rehab on at least one occasion during the period. In 1998 the federal authorities finally caught up with Stratton Oakmont’s illegal activities and closed the company down. Jordan Belfort was charged with money laundering and securities fraud and in 2003, after a lengthy period of negotiation with the authorities, he eventually received a four year sentence in a plea bargain with the FBI. Jordan served twenty-two months of the sentence, but in addition to the jail time, Jordan was also ordered by the court to repay $110 million to investors that he had earned through Stratton Oakmont’s deceptive practices, at the rate of 50% of his annual income, until his parole period expired in 2009. 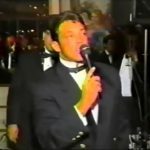 At this point the Jordan Belmont story splits into two, there are facts that Jordan Belfort claims to be true, and there are facts that the authorities assert to be the case, and the two viewpoint often fail to agree on many points, but in particular the level of restitution that Belfort has repaid to his victims. By 2009 approximately $11.6 million had been recovered by the sale of Jordan’s properties and assets, and in 2013, with some of the profits from ‘The Wolf of Wall Street’ adding to his personal wealth, Jordan again clashed heads with federal prosecutors, who filed a complaint finding him in default of his payments. He successfully argued that he was only obliged to pay 50% of his income until 2009 when his probation period expired and the complaint was withdrawn. Eventually a deal was reached with the government whereby Belfort would pay a minimum of $10,000 a month for the rest of his life in restitution, and he claims to have paid that sum as well as the profits from his US public speaking engagements since then, although the authorities have disputed that. There is certainly no love lost between Jordan Belfort and the financial watchdogs that chased him for so long. He began his new career in public speaking upon his release from prison, claiming that he had been inspired to do so by one-time cell-mate Tommy Chong, and he has spoken often about the Stratton Oakmont saga, claiming that at least 95% of the business was legitimately run, and the only legal problems were related to ‘Brokerage firm issues’. Once again the US Government see things a little differently from Jordan, federal prosecutors have described Stratton Oakmont as a ‘front’ and a completely illegitimate operation. Although no-one is claiming that Jordan is failing to pay the $10,000 a month that he has agreed to, his current personal wealth is unknown, but there are clear signs that the Wolf is working his way back to the top in an entirely different neighborhood these days. He has relocated to Australia, where he continues to live a wealthy life style from his public engagements, earning a minimum of $30,000 for each booking. In 2013 the US authorities accused him of ‘fleeing’ to Australia to avoid takes and conceal his newly gained wealth, but were forced to withdraw the accusation after admitting that it had been taken from an incorrect Wall Street Journal article. 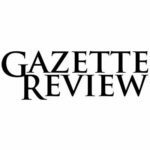 The publication was also forced to issue a retraction and apology to Jordan. Despite his checkered past, and his seeming invulnerability to the federal governments insistence that he fully financially compensate his victims, Jordan was interviewed by Bloomberg in 2015 and asserted that he fully intended to repay at least fifty million in compensation that year, due to his expected $100 million income, boosted by a 45 date tour of engagements back home in the United States. 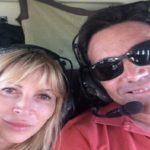 The federal authorities insist that he has paid nowhere near as much, but once again Jordan Belfort in 2016 seems to be treading just beyond their legal reach. Jordan has been married twice, to Denise Lombardo in 1985, and then model Nadine Caridi, who he named his yacht after. The couple had two children before divorcing in 2005 and Jordan has since been engaged to Anne Koppe, who has been vehement in the press against his critics, insisting that Jordan is making every effort to fully repay for his crimes, and should not have to face constant hounding from the authorities and the press. Jordan Belfort’s finances these days are an unknown factor. He is clearly living a fairly wealthy lifestyle in Brisbane, and has been seen driving sports cars around the city, taking helicopter trips and living well, but as far as the authorities are concerned, Jordan Belfort is still technically in debt to the tune of approximately $100 million, even though he is only legally required to pay back a tiny fraction of that each month. His income for the last few years is believed to be from $50 million to $100 million per year, mainly earned through his speaking engagements and the royalties from The Wolf of Wall Street, but the true level of his current wealth is something that he is obviously keen to avoid discussing in great detail. 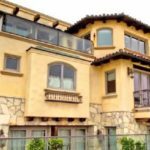 Jordan rents a property in Brisbane but still maintains a property in Manhattan Beach, Los Angeles. It’s not quite on the same level as the palatial mansion in Long Island he owned during the 1990’s, but it’s still fairly impressive to behold. The Mediterranean style beach front residence boosts 4,000 square foot of space, four bedrooms and five bathrooms. It has sea views, even from the kitchen sink and has a media center, balconies and is expensively furnished throughout. Jordan wrote a follow-up to ‘The Wolf of Wall Street’ entitled ‘Catching The Wolf of Wall Street’ and the book has achieved sales earning Belfort at least $2 million. He continues to follow a heavy schedule of speaking engagements and teaches others how to achieve success in sales with his ‘Straight Line Persuasion System’ to this day. The technique has been commended as ‘intensive and brilliant’ by some sales professionals, but others have criticized its heavy handed and aggressive approach. Jordan is clearly wanting to move on from his former life, and showed his attitude in a 2015 interview with a New York magazine, he asserts that no matter what happened to you in the past, you are not your past, you are the resources and the capabilities you glean from it. He insists that the problems he has experienced were the basis of his new viewpoint and he asserts that he knows more than anyone, that making money is easy, at least for him, and this time he’s doing it all within the framework of the law.